Ellis Avery calls The Family Tooth a “zine” as a “tribute to the raw, inspiring confessional, messy experiments in feminist self-publishing.” ‘Zines, short for magazines, are handmade, short books; primarily made by women, ‘zines share stories about life, struggle, triumphs, and defeats. Often ‘zines circulate among a coterie of friends and comrades. Mimeographed or photocopied ‘zines usually include some handwritten elements and visual raw material. ‘Zines had a zenith in the 1990s, but women writers and artists have used this type of handmade publishing and coterie circulation for generations. Emily Dickinson’s fascicles, Djuna Barnes’s The Ladies Almanack, Judy Grahn’s Edward the Dyke, and dozens of other publications can be described with similar terms. 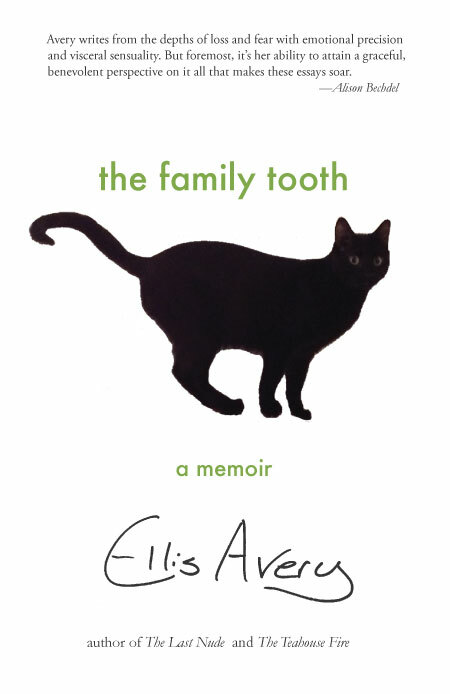 As Avery notes, ‘zine is also an apt description of her new memoir, The Family Tooth. Although Avery’s The Family Tooth is more polished than most ‘zines—perfect-bound with a glossy cover, blurbs from prominent writers, careful typesetting, free from errors—the spirit of The Family Tooth and feminist ‘zines are the same. ‘Zines contain the truth about an individual woman’s life, usually the author, written in her own voice and with her own pictures and illustrations. Similarly, The Family Tooth gathers fifteen essays into three parts. through the gathered essays, Avery explores the loss of her mother, illness, and health. These essays are sublimely crafted, urgent in their telling, and, in the true spirit of feminism and activism, insightful and incite-ful. Cellos, cats, a tooth, a sapphire, and dozens of other objects achieve symbolic meanings in Avery’s essays. Objects are one means through which Avery comes to understand the people, relationships, and situations in her life. Literary aesthetics are another. Avery consistently transforms her close attention to the world into literary art; through the structure of these essays, her artful deployment of literary techniques, and her extraordinarily well-crafted sentences. Consider this sentence from Avery’s essay, “What She Left:” “Like many daughters, the old woman I’m most afraid of turning into is my mother, so it was eerie to find myself calling her forth with the pained gestures I remember her making as well: a careful tilting of the neck, a slow ceaseless seeking of ease.” Through simile, Avery connects herself with her mother and with daughters everywhere, describing the exact physicality that unites her with her mother as well as evoking her own resistance. And she does it beautifully. Here and throughout these essays, Avery transforms closely observed moments into sublime revelations, meaningful beyond her experience, resonant for many. The Family Tooth is both a woman-centric text and a deeply feminist book in its content and its method of thinking. From Avery’s accounts of the loss of her mother to her own grappling with health issues and the choices she makes to respond to medical issues, feminist thinking about health and wellness are at the center. 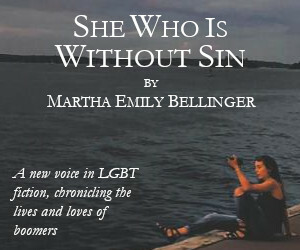 The revolutionary aspects of the feminist health movement, including its influence on collective responses to AIDS and gay and lesbian health, are written deeply into the lives of hundreds of thousands of women. The Family Tooth embodies the marks of the movement on our lives. Avery describes the “Glad Rags,” unbleached cotton, reusable menstrual pads, she used as a young woman, a remnant of the women’s health movement and its desire to unhinge our bodies from corporate, medical control. Her own odyssey of researching and understanding her illness, challenging doctors and treatment plans, questioning received wisdom, experimenting with food to treat her diseases are all informed by generations of analysis and activism by feminists. Seeing the direct influence of the feminist health movement in Avery’s text is a powerful reminder of the success of feminism. While some components of the feminist health movement struggle today (for example, see recent reports of the struggle of the Boston Women’s Health Collective to find funding for its work), the influence of the movement and its complete transformation of how we understand and seek health information and health care continues to be evident in women’s everyday lives. This observation is not to suggest The Family Tooth is only a political book about feminism and sickness—or health. That aspect of Avery’s memoir is only one; the book is so rich and dense that it cannot be distilled singly. The Family Tooth is about mothers, illness, sisters, health, lovers, and healing. The Family Tooth is a collection of essays closely observed and artfully rendered; it is a creative non-fiction story that covers a period of sickness and death in one woman’s life; it is both personal narrative and medical narrative. 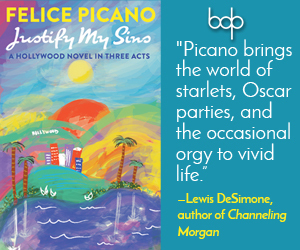 It is achingly beautiful and wickedly funny. Incidents and experiences that made young women angry and drove them to create their own ‘zines are present in The Family Tooth, but this collection features the words—and art—of mature woman, of a writer at a pinnacle of her craft. While Avery cannot control the situations of her life, she renders them beautifully in The Family Tooth. This paradox is what ultimately makes Avery’s art so compelling: the transformation of moments, data, and information into carefully rendered stories, united by control of timing, observations, and literary technique. In The Family Tooth, Avery affirms how art, combined with politics, transforms our lives. This review captures so many of the winning qualities in Avery’s memoir–the gorgeous prose with its through-line of objects (from tooth to cello), the eye for irony, the self-knowledge about what we owe to those like family whom we most needed to leave, and the political sass that unveils systems of power at precisely those moments (a relative’s death, a divorce in the family, a body that will no longer do what it had always done well) that seem “only personal.” One aspect of the work that should get even more attention is the way it takes us through the shock of incapacitating illness and the slow, steady, doctor-defying crawl back to health. This is hard-won inspirational work that doesn’t shy away from the difficult but does so with an exquisitely light touch. Read it for the singular voice Avery wills onto the page and the harrowing story. Come away from it smarter and changed for the better. Give it to everyone you know.